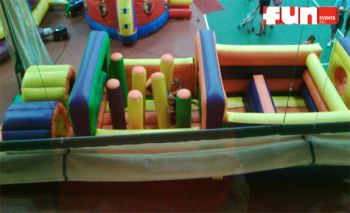 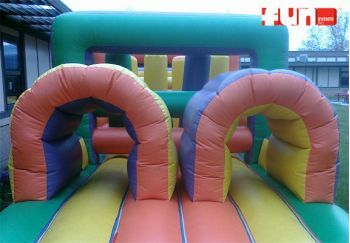 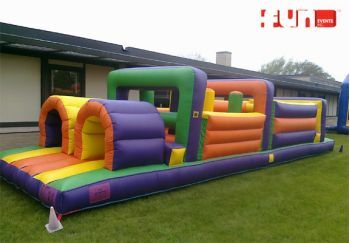 An inflatable obstacle course rental that has all of the fun challenges such as diving, jumping, crawling, ducking, dodging and even the squeezing maneuver. It's fun, and that's all we have to say about that. 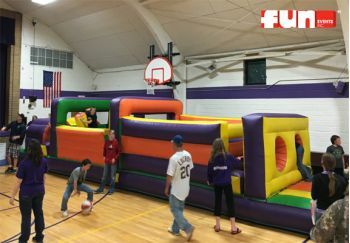 Great inflatable game rental for younger challengers.